Baby animals all have different names, depending on the species. A baby goat name is a kid or a billy, and a baby horse name is a foal, a colt or a filly. Like a baby bat, coyote, dog and fox, a baby wolf is called a pup. The gestation period of a wolf pup (the length of time it spends growing inside its mother before it is born) is about 63 days. A pup weighs about one pound at birth and is totally deaf and blind, with little sense of smell but a well-developed sense of taste and touch. Most pups are born with blue eyes, but they gradually change to a golden yellow color by eight to 16 weeks. A pup begins to see when it is about two weeks old, and can hear about a week later. Typically, a litter contains four to six pups, known as litter mates. They are born in the parent wolves’ den, a small cave or a hole deep in the ground, where the wolf mother and her pups can shelter from the weather and hide from predators, like bears and golden eagles. Until a wolf pup is about four weeks old, it lives on milk from its mother. It then starts to eat meat, via the stomach of an adult wolf. The pup licks the adult wolf's mouth and the adult wolf regurgitates the meat. All the wolves in a pack help feed the pups, bringing food to them when they are very small so their mother does not have to leave the den. When the pups are a little bigger, pack members take turns bringing them food, At the age of about four weeks, the adult pack members encourage the pup to leave the den for short periods of time. Pups are typically fully weaned (stop drinking their mother's milk) by the age of eight weeks. 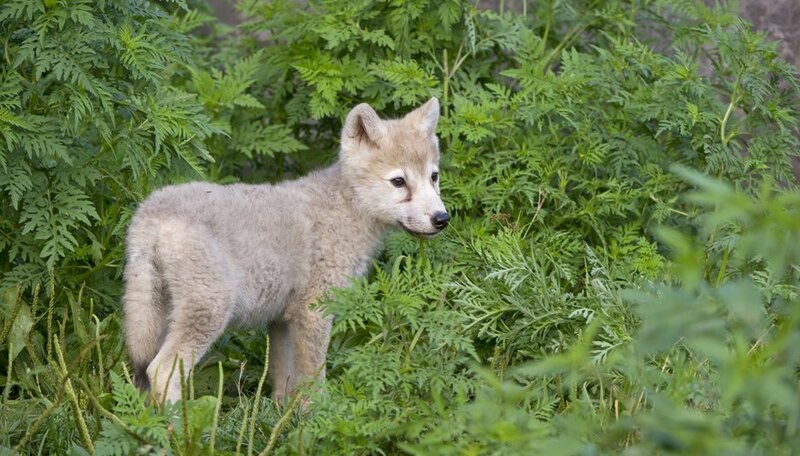 A wolf pup starts visiting meeting places known as "rendezvous sites" outside the den when they are about eight weeks old. At these meeting places, wolves gather to sleep and play. Wolf pups love to play, chasing each other and rolling around like dog pups do. Pups spend most of their time at these meeting places until they are old enough to hunt with the rest of the pack – usually at around six months old. Wolves reach adult size when they are about one year old. Gillespie, Claire. "Facts About Baby Wolves." 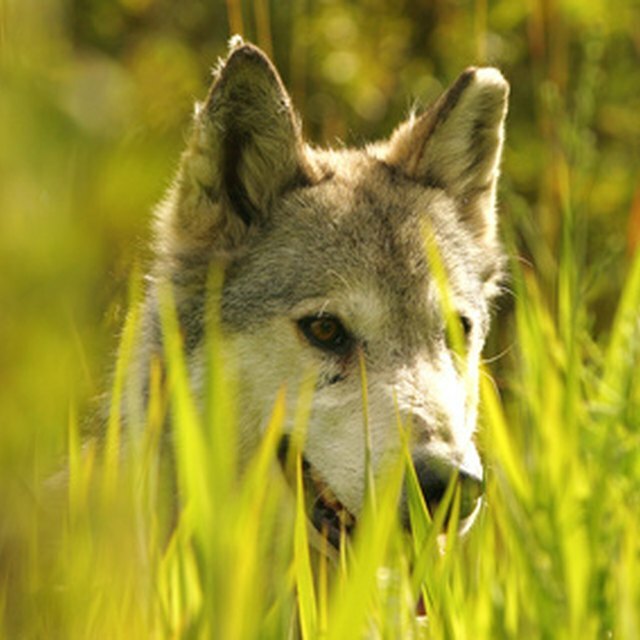 Sciencing, https://sciencing.com/baby-wolves-5032180.html. 22 August 2018.